(left) Lady Curzon, in Charles Fredrick Worth ‘Peacock Dress’, 1902-3. Oil on Canvas, attributed to William Logsdail, English (1859-1844). (right) Mary Jane Russell in Dior gown. Photograph: Louise Dahl-Wolfe, Harper’s Bazaar, October 1951. 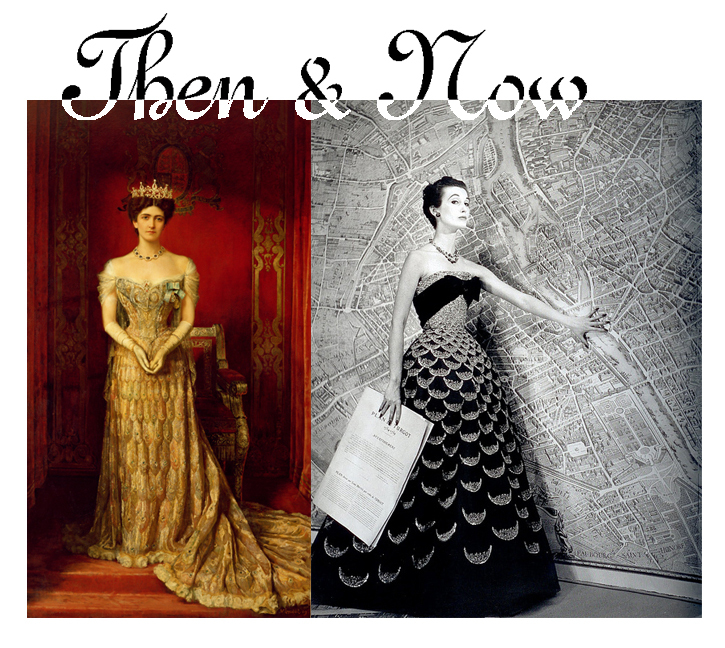 This entry was posted in Then&Now and tagged 1950s fashion, Charles Fredrick Worth, Christian Dior, Fashion Photography, Harper's Bazaar, Lady Curzon, Louise Dahl-Wolfe, Mary Jane Russell, Peacock Dress. Bookmark the permalink.